Langtang Gosaikunda Trek is interesting trekking routes of Nepal that unite remote and dazzling Langtang valley with mesmerizing Gosaikunda lake. This adorable trekking leads to the beautiful Langtang Valley also called as “the valley of the glacier” which is situated 32 km north of Kathmandu valley. This delightful trekking is always ready to show off its far better natural scene within a tranquil environment. ….perfect combination of tranquil and rated trekking trail with the renowned pilgrimage destination in the Himalayan Region of Nepal. The trek to Langtang Valley and Gosaikunda lake is amazing that bestow with stunning places from where the incredible view of the rich nature can be witness and the traditional aspects of people can be observed from the different spots. Thulosypru (2210 m/ 7251 ft) a beautiful place offering with fascinating view of Langtang Himal and other mountains, Chandabari (3330 m/ 10926 ft -can taste fresh cheese), Laurebinayak from where first view of Gosaikunda Lake (4380 m/ 14371 ft) can be observed, Langtang Valley the charming place with tranquil environment presents with remarkable views of mountains, and Khyangin Gompa the place holding the rich cultural and traditional aspects, these are the outstanding places that linked with Langtang Gosaikunda Trek. These all places also hold their importance of culture and tradition which get differ from place to place. Langtang Gosaikunda Trek with opulent natural content calls to explore and eye witness its marvelous view along with the unique tradition of the local people. 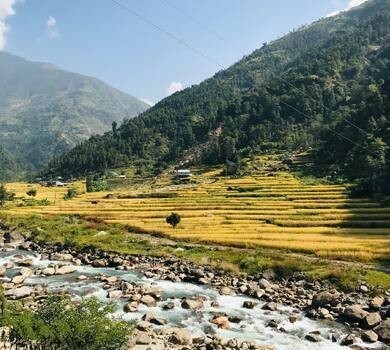 This Langtang Gosiakunda Trek connects remote place with beautiful Langtang Valley. The trail leads to the Valley of Glacier-Langtang Valley (3430 meters) through crossing the harmonious and beautifully set up small villages, rhododendron forest, rugged rock, rivers like Bhote Koshi, Langtang River, etc and where it is also possible to get encounter with endangered species like Red Panda, Wild Boar, Langur, Wild Bear, and other different species of flora and fauna. It will make feel like dream comes true when one reaches at Langtang Valley as this place offers with an unbound spectacular view of mountains. Along with this, Kyangin Gompa (3830 m/ 12566 ft) is another popular sightseeing place nearer to this valley. Participating in Langtang Gosaikunda Pass Trek also provides the opportunity to explore Kyangin gompa where numbers of glaciers are presented and from where one can turn their journey to the most adventurous trekking route of Ganja La Pass. Note: In 2015, due to natural calamities, a number of old architecture houses and trekkers (around 100) are been swept away which is one of the harsh moments of Langtang local residents. These days, this place offers with the full safety along with good accommodation facility and provides possible and suitable trails to the trekkers. According to the interest, the trekkers can continue with two different trails 1. Kyangin RI (4750 m/ 15584 ft) or, 2. Tsergo Ri (4984m/ 16352 ft) which stands above Kyangin Gompa. 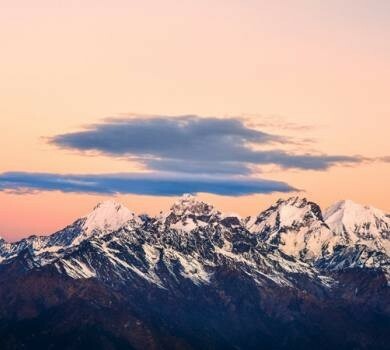 The best time for participating in trekking to Langtang Valley and Gosaikunda Basin are Autumn (September to November) and Spring (March to May) and nevertheless January, February and December are also the best time to explore Langtang region. Those who are willing to explore Nepal and its beautiful Himalayan region in a group or with families than this 14 days Langtang Gosaikunda Pass Trek will be one of the jubilant trips to spend one’s leisure time in the Himalayan Region of Nepal and as per interest and time frame, the trek can be customized. The team of Massif Holidays will always present to make the trip wonderful and remarkable. If you need to ask regarding this trip please feel free to contact us. Massif holidays always ready to help to design your holidays in Nepal. Scenic drive from Kathmandu to Syprubeshi & Dunche to Kathmandu. Magnificent view of the Himalayas from Langtang Village, Kyangin- Ri & Gosaikunda. Visiting Kyangin Monastery – one of the oldest and popular monasteries in Nepal. Exploring the Tibetan community & culture and Cheese factory in Chandanbari. Explore the holy lake- Gosaikunda. Chances to encounter with endangered species like Red Panda, Common Langur, and honey hunting places. Day 03: Drive to Syprubeshi (1300m). About 7 hours. Overnight stay at Guest House. Day 05: Trek to Langtang Valley (3430 meters) about 6 hours. Overnight stay at Guest House. Day 06: Trek to Kyangin Gompa (3830 meters) about 4 hours. Overnight stay at Guest House. Day 07: Early morning hike to Kyangin –Ri (4750 meters) and trek back to Langtang Village. About 6 hours. Overnight stay at Guest House. Day 08: Trek back to Lama Hotel. About 5 hours. Overnight stay at Guest House. Day 09: Trek back to Thulosypru (2210 meters). About 6 hours. Overnight stay at Guest House. Day 10: Trek to Chandanbari (3330 meters). About 5 hours. Overnight stay at Guest House. Day 11: Trek to Gosaikunda (4380 meters) & explore the holy lake. About 4 hours. Overnight stay at Guest House. Day 12: Trek back to Dhunche (1960 meters). About 5 hours. Overnight stay at Guest House. Day 13: Drive back to Kathmandu. Overnight stay at Hotel. Professional license holder English speaking guide (if required with other nation’s dialect for Langtang Gosaikunda Pass Trek). The tailor-made itinerary of the respective travel package is organized by the expertise of Massif Holidays with the undertaking and going through with distinct favorable routes and followed by the departure dates throughout 2019 and Nepal visit year 2020 (can also plan and book the trip for near future). The different departure dates can be provided as per the traveler’s interest and time frame. The cost which is mentioned for each and every enlisted departure dates are guaranteed but as per group travelers and joining trip the cost can be varied. 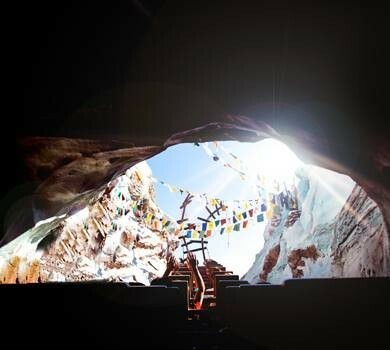 Experience and witness the Himalayan beauty of Nepal in your next travel bucket list. Observe the cultural, traditional, historical and scenic beauty of Nepal in your next travel destination.